A: I believe being a Black woman in this industry, there have been times when my expertise has been called into question more in a covert way versus overt. 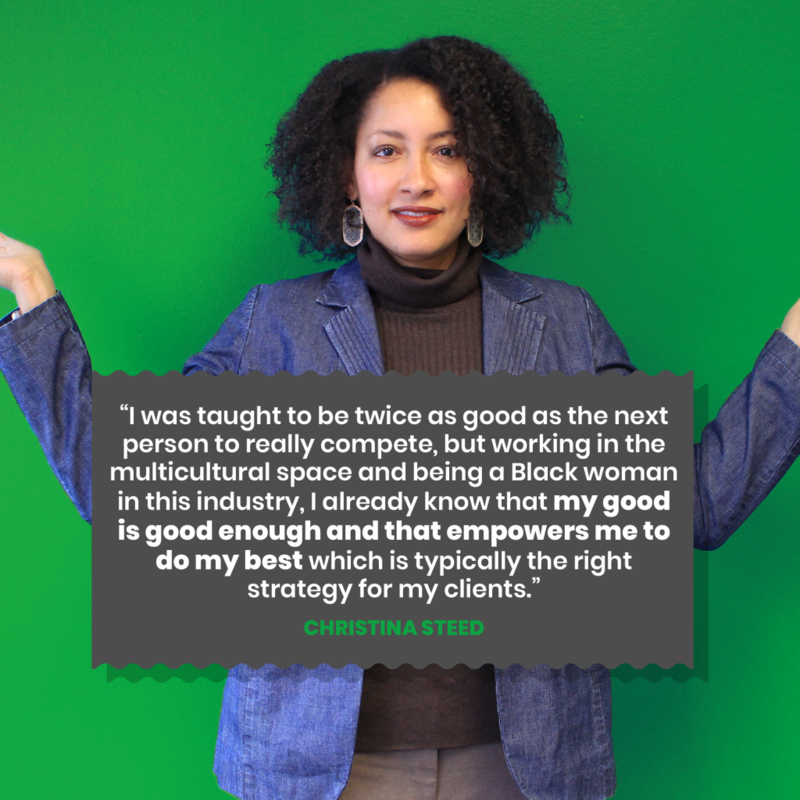 I was taught to be twice as good as the next person to really compete, but working in the multicultural space, I already know that my good is good enough and that empowers me to do my best which is typically the right strategy for my clients. A: I have seen time and time again the power of communications to shape our lives. From persuading us to try certain brands to underpinning the belief systems we have in all areas of our lives, communication is at the center of it all. The perspective I bring as a Black woman is very unique, genuine, well researched and thoughtful. My perspective in many cases has helped to shape a winning campaign and my leadership in the industry inspires other women who look like me to believe that they can succeed in communications. A: Be a lifelong student of the business. Never stop learning or challenging yourself. And take care of your health along the way so you can continue to look and feel good as you ascend in this stressful industry. Q; What is one quote that you live by? A: A proverb that I’ve adopted as my mantra is, “Set yourself as the standard.” It sounds like a woman would have said it to encourage other women to love themselves and live their best lives doing their best in their work.